Russian ruble and U.S. dollar bank notes are seen in this file illustration picture taken in Moscow. The Russian ruble was steady on Tuesday, pausing after a strong rally the previous day, and supported by a rise in the oil price. 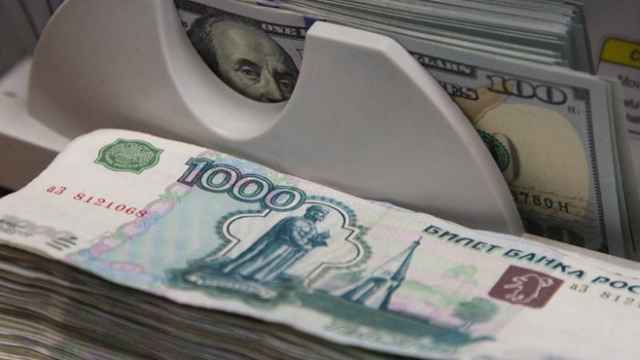 At 8:00 p.m. the ruble was 2.3 percent stronger against the dollar at 50.8 and up 1.5 percent to 54.2 versus the euro. 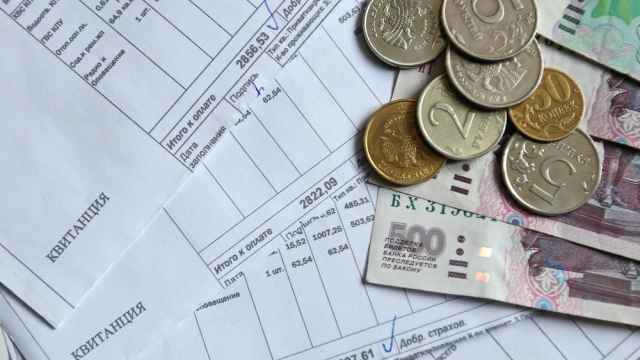 The ruble has been supported this week by firming oil prices, although the link with oil has weakened in recent weeks as investors take into account high Russian interest rates and the easing of the Ukraine conflict. Front-month Brent crude futures were trading up 0.8 percent to $58.4 a barrel, while U.S. crude had risen 1.3 percent to $52.5. In a note, VTB24 analyst Alexei Mikheyev said the rally was the result of high demand for Russian bonds from foreign investors, drawn by high yields and encouraged by a cease-fire in eastern Ukraine after months of fighting between government forces and pro-Russian separatists. "It's obvious that investors are sure that the truce in Ukraine means a toughening of Western sanctions against Russia will be avoided," he wrote. 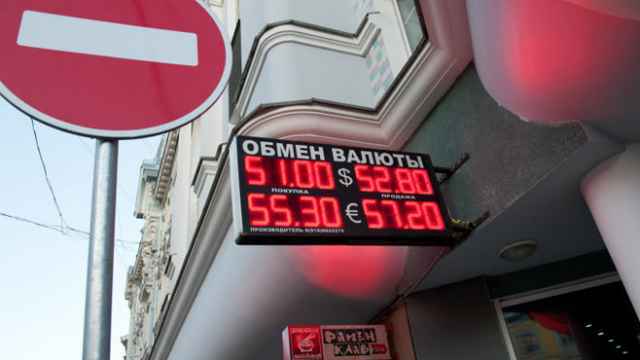 "When large sums attempt to squeeze back into Russia through the bottleneck of ruble liquidity, tightened by high interest rates, a deficit of rubles arises." 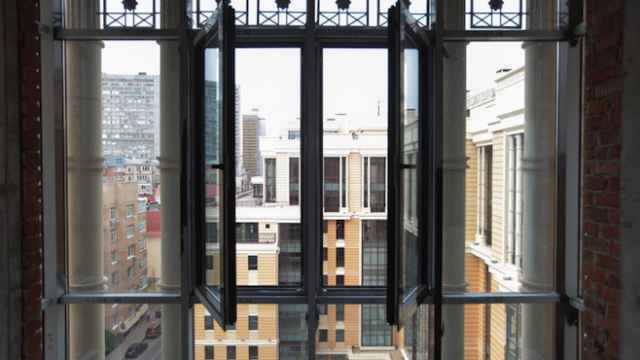 Veles Capital analyst Alexander Kostyukov said in a note that high demand for dollars at Monday's weekly forex repo auctions, despite a rise in the Central Bank's dollar repo rates, was likely to help the ruble in the next few days. Russian stock indexes were down, following a tepid start to the week on global markets, worried by poor Chinese trade data and bracing for weak U.S. earnings reports. 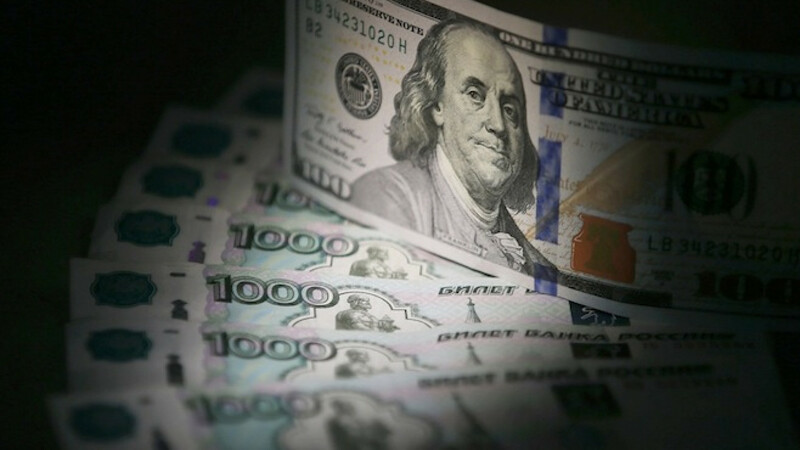 The ruble-based MICEX was down 1.8 percent to 1,647 points while the dollar-based RTS was up 1 percent to 1,015 points.